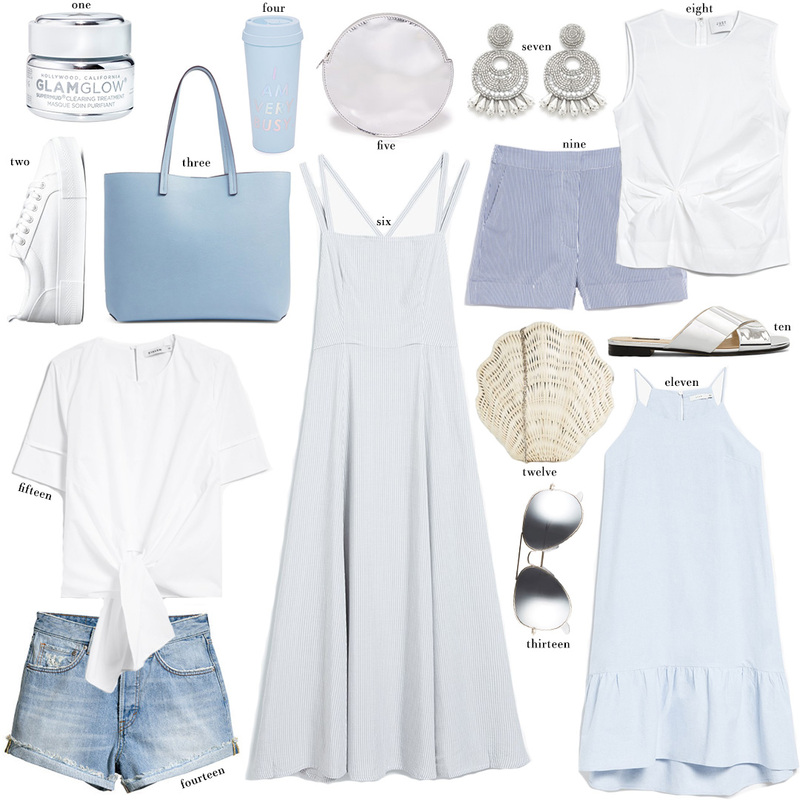 This powder blue maxi dress looks incredibly soft, don’t you think? In case you missed it in yesterday’s post, this dress featured on my Instagram is under $100 and so flattering. These striped shorts would be a cute new addition to your summer pajama selection! Love the subtle shimmer in this pale blue off-shoulder top. Ideal for date night! If you love the tie front top above, check out this one in blue + white stripes too. Looking for some great denim shorts for the season? Try this pair. You can see them on me here! The ideal summer wedding guest dress for under $100. Love the lace! The perfect pair of white skinnies for summer for under $60? Yes, please! A casual skirt to pair with tees, tanks and more. This blue + white floral print top is absolutely stunning. Looks way more expensive than it is! I love this color palette! It is so crisp and cool. So perfect to wear during the host summer months! I love #6! So many great picks! Loving all of these shades of blue. And such a great price point! This is such an awesome color palette. So fresh and springy! Loving the under $100 price point too. That shell bag is so fun!! Love these picks!